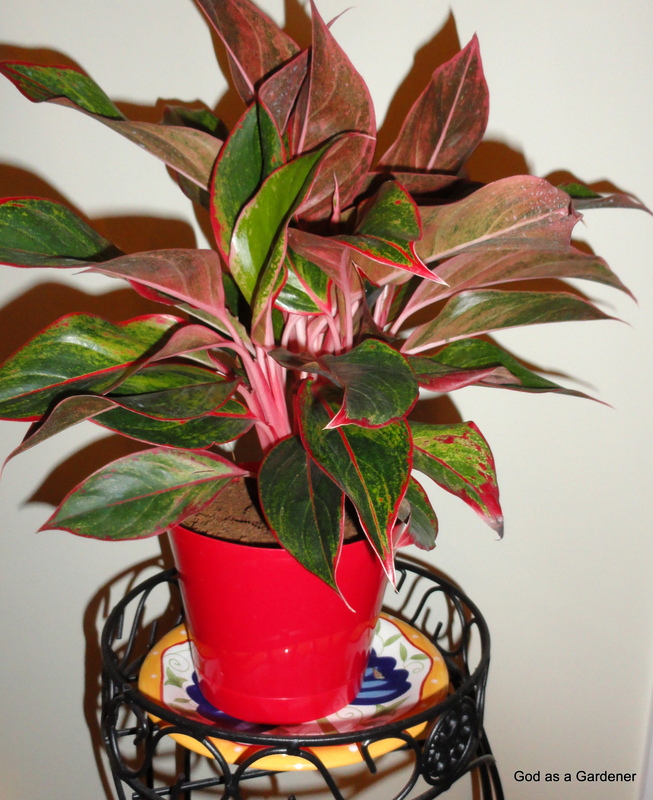 The aglaonema (Chinese evergreen, Firecracker) is a newish Christmas plant and an alternative to the poinsettia. It is less woody than the poinsettia and doesn’t have flowers; however, it is almost as colorful. Although there are over 40 types of aglaonema, red aglaonema is seen during the Christmas season. Red aglaonema’s foliage lasts longer than the typical poinsettia. 2014 was the first time, I saw aglaonema sold in nurseries in the Roanoke area. It was even sold in K-mart and Lowes. Traditionally, aglaonema is associated with good luck or something auspicious. The whole idea of luck troubles me. I couldn’t find the word “luck’ in the Bible, in Strong’s (2010) Exhaustive Concordance of the Bible, or in Zondervan’s Illustrated Bible Dictionary (2011). Luck is ancient pagan concept. For me to say “Good Luck” to someone is denying that God is in control of their lives and they have to rely on capricious Lady Luck, whoever that is. Don’t refuse to purchase and enjoy a plant because superstitious individuals associate the plant with some idea or concept, e.g., luck, triumph, love. Buy it, and praise the Creator for the plant’s beauty. If you purchase an aglaonema, don’t put it in direct sunlight. Rather, place it 6-10 feet from a window or glass door. It needs only 1-3 hours of indirect sunlight a day. Some nurseries identified that aglaonemas were a good plant to place in an internal room, e.g., a bathroom or study because plants preferred low-level lighting. Water aglaonema when the soil is dry when you touch it with your finger. 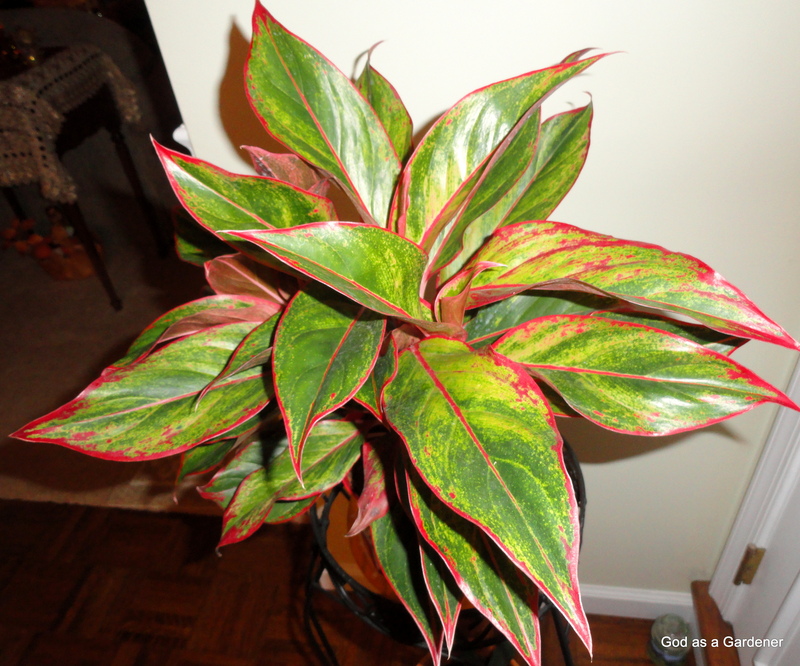 Never let aglaonema stand in water or dry out completely. Feed the plant about every two weeks to keep it looking optimal. Aglaonema doesn’t tolerate a temperature of less than 50 degrees Fahrenheit. You can set it out in a shaded area in the summer and in very warm climates plant it outdoors. USDA shows the plant as growing year around only in Florida. Copyright: December 27, 2014, Carolyn A. Roth, All rights reserved.